The author is an employee with Sahapedia. Diwali, or Deepavali, is a major Hindu festival celebrated across the country by Indians of all faiths. Also called the ‘festival of lights’, Diwali comes in the Hindu lunisolar months of Ashwin and Kartik (late October or early November in the Gregorian calendar). A post-harvest festival, it has several myths associated with it as well. The festival symbolises the ‘victory of light over darkness’, ‘knowledge over ignorance’ and ‘good over evil’. 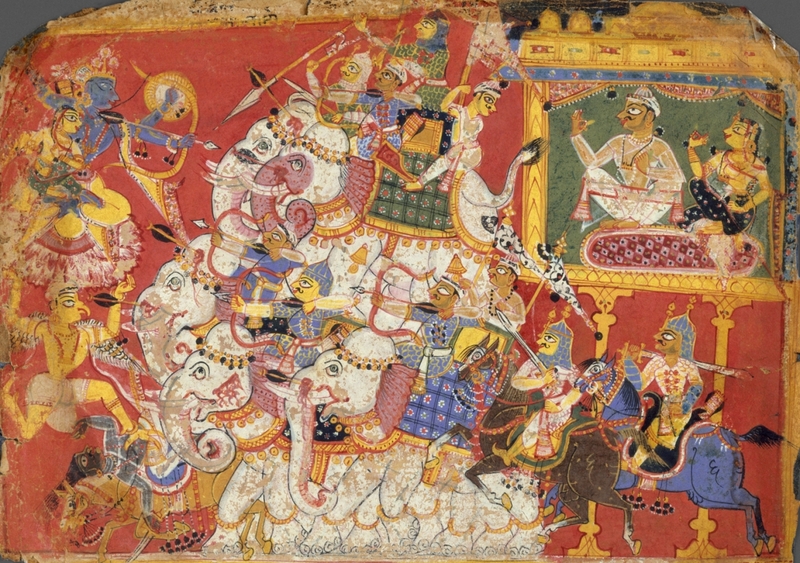 The lore that is most commonly associated with the celebration of this festival, especially in north and west India, is from the Hindu epic Ramayana: commemorating the return of Rama, Sita, Lakshmana and Hanuman to rule Ayodhya, in modern Uttar Pradesh. In south India, it marks the victory of the god Krishna over the demon Narakasura. In Jainism, it is the day Mahavira attained Nirvana. The Newars of Nepal offer prayers to Lakshmi, the Hindu goddess of wealth and prosperity; the Newars include followers of Hinduism, of Vajrayana Buddhism, and of traditions related to both. For some communities, especially those in business and trade, Diwali marks the beginning of the Hindu financial year, samvat, and the Goddess Lakshmi is worshipped in the evening. Many shopkeepers and owners of small businesses change their account books, or bahi khaata, on this day. The Bombay Stock Exchange and National Stock Exchange are closed on the day, which is generally a national holiday, but they conduct mahurat trading, or the first auspicious trading, for a short while in the evening. At many homes, playing cards for money on Diwali, or formal gambling, is an auspicious ritual that is considered to bring wealth and prosperity to the players. This comes from the legend that once Goddess Parvati won a game of dice against God Shiva on this day. Elated, she announced that whoever gambled on the night of Diwali would accumulate wealth throughout the year. A five-day festival, Diwali is celebrated across households by lighting diyas (oil lamps) or candles, making rangolis (intricate designs on the floor) to welcome the goddess, distributing sweets and gifts, and bursting crackers. The bursting of crackers is increasingly limited in many regions to control environmental and sound pollution. Diwali comes from the Sanskrit word, Deepavali, which means a ‘row of lights’. The word is derived from deepa (lamp, light or illumination; or symbolically, knowledge) and avali (row or series). Ancient Indian texts like the Padma Purana, Vishnu Purana and Kalika Purana and Harsha’s play Nagananda, as well as stone and copper inscriptions have references to the festival as Deepotsava, Deepotsavam, Deepavali, Divali and Divalige. The duration of the celebrations includes the last two days of the month of Ashwin, before the new moon (amavasya), starting with Dhanteras, the 13th day of the fortnight ending in amavasya, and continuing into the month of Kartik to end on Bhai Dooj, the festival dedicated to celebrating brothers. The celebration of Diwali has greatly evolved, with various cross-cultural and -religious influences and stories of origin that we explore in this segment. 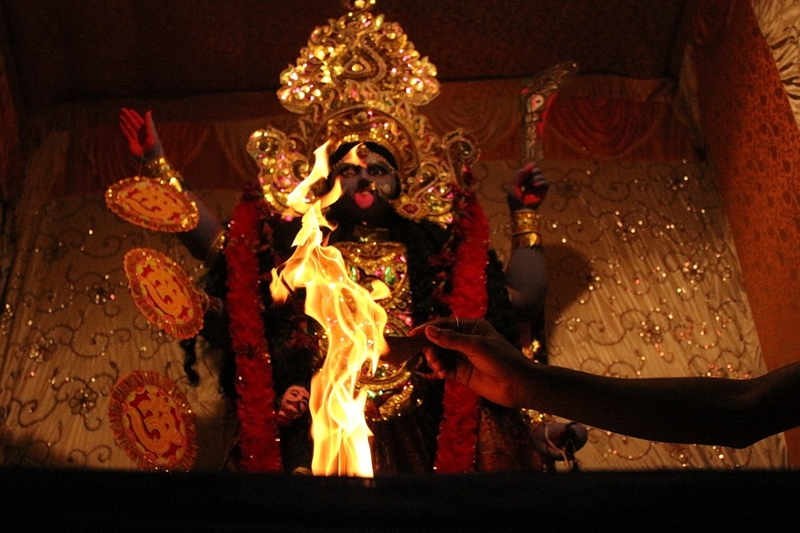 In popular lore, the festival is connected with both the Hindu epics, Ramayana and Mahabharata. 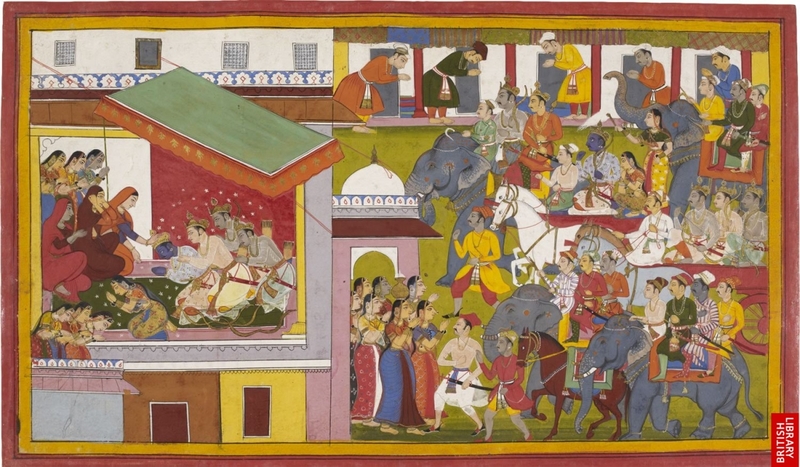 In the former, the story goes in northern India that Rama, Sita and Lakshmana retuned to Ayodhya, after defeating Ravana and at the end of their 14-year exile, and celebrated Diwali. As for Mahabharata, it is said that the Pandavas also ended their 13 years of exile on this day. In the southern part of India, the festival marks the day when Krishna and his wife Satyabhama killed the demon Narakasura. Also called Naraka Chaturdashi, this is celebrated the day before Diwali. There are references to Naraka Chaturdashi in the Vishnu Purana and Harivamsha. The fourth day of Diwali is called Bali Pratipada, commemorating Vishnu’s Vamana avatar's act of burying King Bali underground. In Kerala, it is also celebrated as Balirajya, because on this day Lakshmi, Vishnu’s consort, liberated Bali for a single day, prompting celebrations by his subjects. Another story goes that Bali ascended the throne on this day. According to Padma Purana, the first day of Diwali, Dhanteras, marks the birth of Goddess Lakshmi from the churning of the primordial ocean, i.e., samudramanthan. On the third day, the day of Diwali, Lakshmi chose to marry Vishnu. Diwali is one of the main festivals among the Jain community, and Lakshmi Puja forms an important aspect. P.K. Gode, in his article on Studies in the History of Hindu Festivals: Some Notes on the History of Diwali, says that it was on this day that Mahavira attained moksha. Jains celebrate the Mahavira Nirvana Divas by lighting lamps. Jains, essentially a trader community, worship Lakshmi on Diwali by changing their account books and performing a puja to mark the beginning of a new financial year. Diwali, along with Baisakhi, is one of the principal festivals of the Sikhs. However, it has historical and not mythological relevance. In the 17th century, the sixth Sikh Guru, Guru Hargobind Singh was imprisoned by the Mughal emperor Jahangir. He was freed on Diwali from the Gwalior Fort prison, making it a day of celebration for the Sikhs. Additionally, the city of Amritsar was founded on Diwali in 1577. Although not a primary festival for the Buddhists, Diwali is celebrated by the Newar people of Nepal, who follow the Vajrayana school and worship many deities. Called Tihar, the festivities are similar to those of the five days of Diwali. There are Hindu influences in the observance of rituals, with specific days allotted for the worship of various living beings, such as the crow, dog and cow. The last two days are for Govardhan Puja and Bhai Tika. It’s interesting to note that while the popular association of Diwali is with the return of Rama to Ayodhya, there are no references to Diwali or Deepavali in the Ramayana or even Tulsidas’ Ramcharitmanas. However, there are several Puranic references to Diwali and Deepotsava that explain the different connections between Shiva, Parvati, Lakshmi and the festival. Apart from Padma Purana, Vishnu Purana and Kalika Purana mentioned previously, references exist in the Bhavishyottara Purana (Monier-Williams' Sanskrit-English dictionary) and Bramhavaivarta Purana. Vatsyayana’s Kamasutra has references to the festival of Yaksha Ratri, which according to some scholars is where Diwali has its origin. This was a festival of the Yakshas, attendants of the god of wealth, Kubera, who spent the night playing dice. This could be seen as yet another connection between gambling and Diwali. King Harsha's seventh-century play Nagananda has a reference to Deepotsava and Yaksha Ratri, and talks about giving gifts to newly-weds on the occasion. Diwali celebrations are spread over five days, with each day allotted to certain rites, rituals and the worship of a god or goddess. However, the common aspect is that of cleaning one’s homes and workspaces and decorating these with lamps and flowers, and making rangolis (coloured floor designs). Gambling is also a common feature across communities and regions. Day 1, Dhanteras: Derived from dhana (wealth) trayodashi (13th day), it is an auspicious day for buying gold, silver or utensils for the home, and offering prayers invoking prosperity. Day 2, Naraka Chaturdashi: The victory over Narakasur and an auspicious day for buying sweets and food for the next day’s celebrations. It is also called Chhoti (little) Diwali, and is a day for visiting family, friends or business partners and exchanging gifts. Day 3, Diwali: The main day is celebrated by worshipping the Goddess Lakshmi, lighting lamps, bursting crackers (now reduced by Supreme Court advisory and environmental concerns), as well as gambling. In Nepal, it is the only day in the year that people can legally gamble. Day 4, Annakoot/Padwa/Govardhan Puja/Bali Pratipada/Vishwakarma Puja: This day celebrates the bond between husband and wife, as well as the prosperity of a family by offering a ‘mountain of food’ (annakoot) to the gods. Govardhan Puja refers to the legend of Krishna saving the cowherds and farmers from the wrath of Indra and the incessant rain by lifting the Govardhan mountain for them to take shelter under. Scholars have made several post-harvest and soil fertility associations with respect to the rituals that usually incorporate the use of cow dung. Vishwakarma, the Hindu god of engineering and architecture, is worshipped by the Sikh community as well, since it is the first day of the new work year. Day 5, Bhai Dooj: Literally ‘Brother’s Day’, the fifth day celebrates the bond between brothers and sisters. A story about the Hindu god of death, Yama, and his sister Yamuna, is associated with this day, when the brother goes to visit his sister and is welcomed with a tilak (auspicious mark of protection and greeting), food and gifts. Diwali is celebrated in different parts of the world, wherever there is a significant Indian immigrant and expatriate population. Guyana, Indonesia, Malaysia, Singapore, Mauritius, Trinidad and Tobago, and Nepal celebrate Diwali with much pomp and there are official holidays in some of these regions. 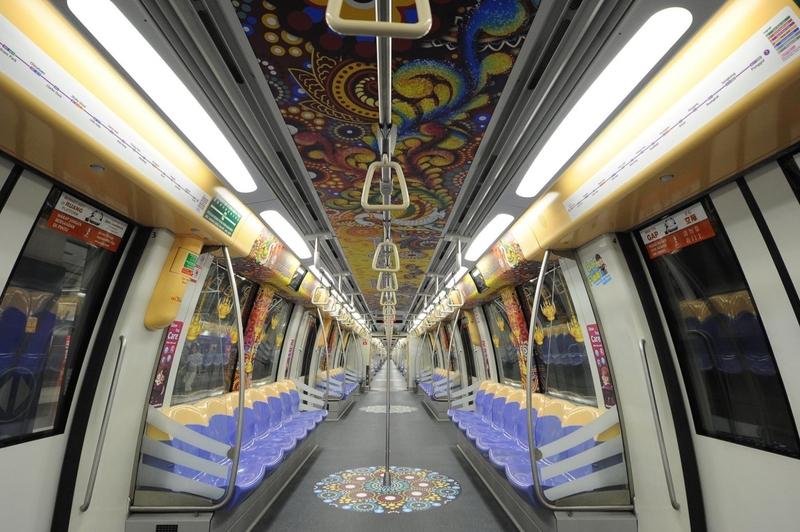 In Singapore, for a few years now, the city and metro trains are decorated with flowers, and rangolis with diya motifs. For the Indian film industry, and many other consumer-focused industries, Diwali is serious business. Diwali and E'id are two occasions when big-ticket movies queue up for release. Many popular movies, such as Kabhi Khushi Kabhi Gham, Hum Apke Hai Kaun and Jo Jeeta Wohi Sikandar, devote considerable screen time to Diwali celebrations. 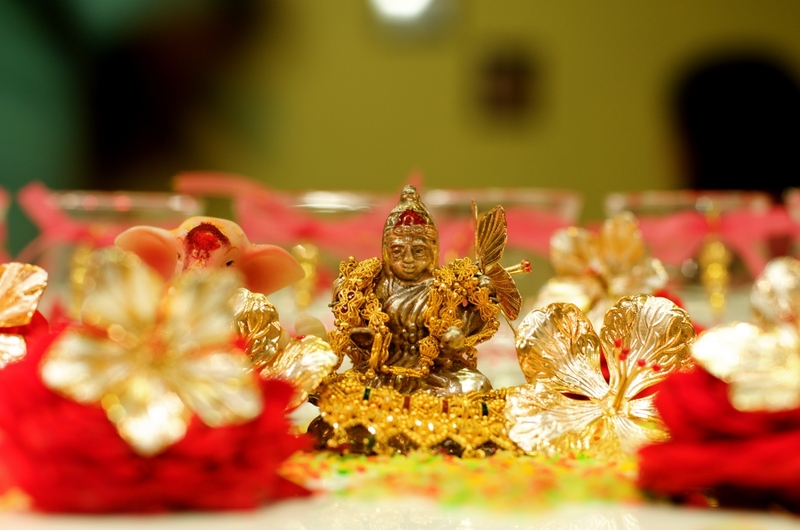 For marketers, Dhanteras and Diwali are special times, with the themes of gold buying and family dominating media space. Much like Super Bowl- and Christmas-themed advertisements in the Western world, most brands come out with Diwali campaigns to boost sales. 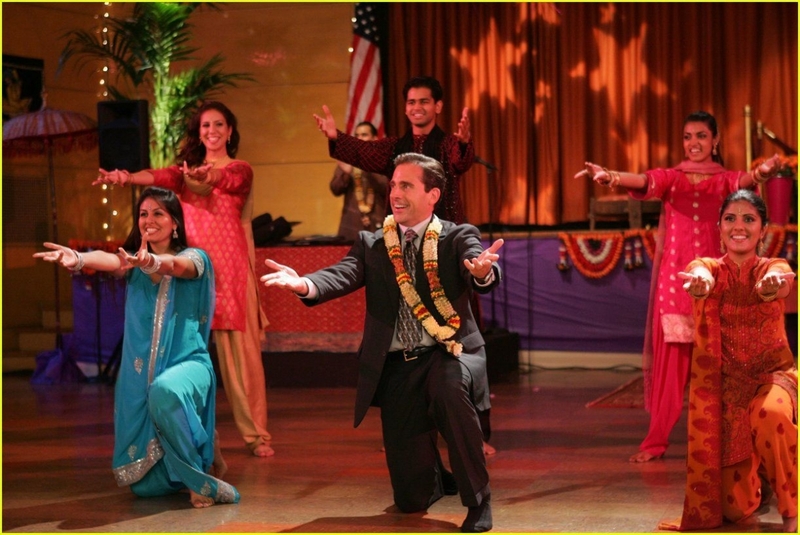 The Office, a popular American comedy television series, came out with an episode titled ‘Diwali’ in 2006. The first-ever American series that dedicated an entire episode to Diwali, it drew global attention to this festival.